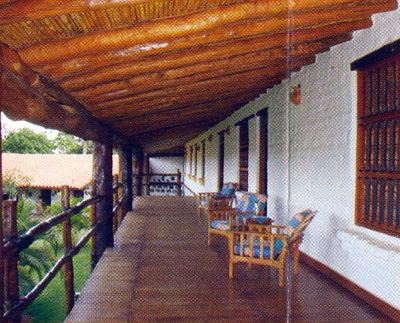 Set in the midst of lush vegetation, this beautiful Jesuit-style hotel has been constructed using materials and methods typical of the area, such as Cuchi, Adboe and Tajibo. 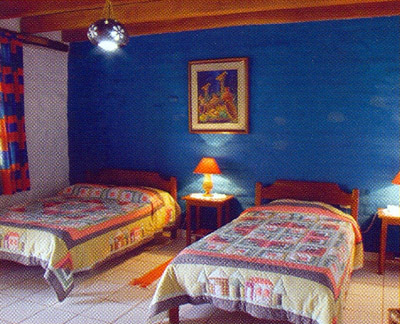 The tastefully decorated rooms are large and comfortable with private bathrooms, airconditioning, cable television, minibar and wi-fi. An American style breakfast is included and room service is also available. The 2 hectare complex features large manicured gardens, an orchid sanctuary with a variety of native species, a dam for boating and a stunning swimming pool. 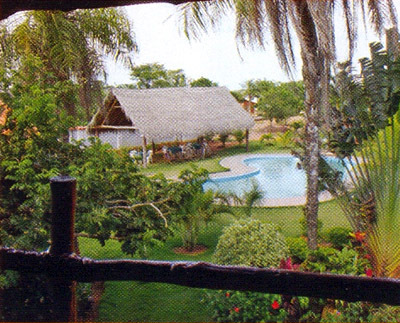 There is also an on-site bar, breakfast room and restaurant serving national and international cuisine. The orchid sanctuary is also open to the public. Doubles, triples and a suite, private bathroom, airconditioning, TV, Wi-fi, minibar, room service, laundry, garage, pool, sports areas, American style breakfas, gardens, orchid sanctuary, swimming, boating, bar, breakfast room and restaurant. 7 blocks from the main plaza of the Jesuit Mission town Concepcion.